There are many ways to derive value out of threat intelligence, whether it be through a full threat intelligence platform, ingesting threat feeds, or simply leveraging threat intelligence features found in common security tools. One of the less adopted ways to benefit from threat intelligence is to share this information with other groups, which helps to reduce response time to events and enact preventative measures. What kinds of sharing are there? There are two types of sharing, each defined by who is sharing the information. Open-source intelligence, which might involve ingesting an open source intelligence feed or downloading a publicly available report covering a recent attack that contains indicators and methods used. 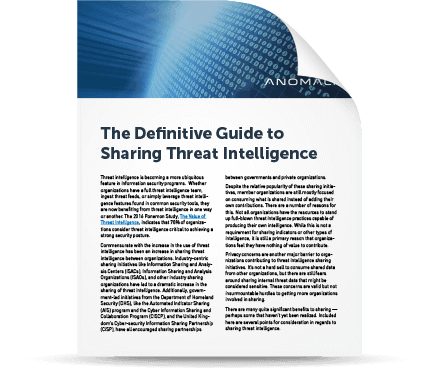 Bidirectional threat intelligence sharing - Intelligence is sent down to be consumed but can also be ingested from member organizations. Although sharing is allowed and encouraged in these programs, there is no guarantee that every organization will share anything. Privacy & liability concerns – These can be overcome through more accurate perception of sharing intelligence, protective clauses in legal agreements, recent legislation, or care in what is being shared. Scrubbing data for private information or sensitive corporate information before sharing is a good idea regardless of the type of sharing involved. The Cybersecurity Information Sharing Act of 2015 (CISA) has provisions to address concerns around privacy and liability. Some of these protections are contingent on certain stipulations being met. As always, proper legal advice is highly recommended to understand how CISA may apply to specific situations. “There is nothing of value to contribute” – No organization sees every attack. Sharing seemingly insignificant details can aid in visibility and help produce more fully sourced intelligence analysis. Lack of expertise – Even if you are not a trained professional, adding whatever context, observed attack details, and if possible, analysis developed by those on staff is still beneficial to the community. Fear of revealing an organization has been hacked – The fear of sharing breach details more broadly than with the entities absolutely necessary is common, but can be remedied by following best practices while sharing. Share and contribute – Sharing observed adversary behaviors, additional context, attacks seen, or details from incident response are great places to start. Don’t worry if there isn’t much in the way of analysis added to what is shared initially. Share outside your vertical – Look for opportunities to share with organizations outside of your vertical, including localized entities such as Fusion Centers. As always, working closely with legal teams/lawyers to draw up appropriate agreements to facilitate sharing between the entities is really a requirement. Share breach details – Pushing out breach details quickly could mean the difference in someone else being breached and being able to stop it quickly. 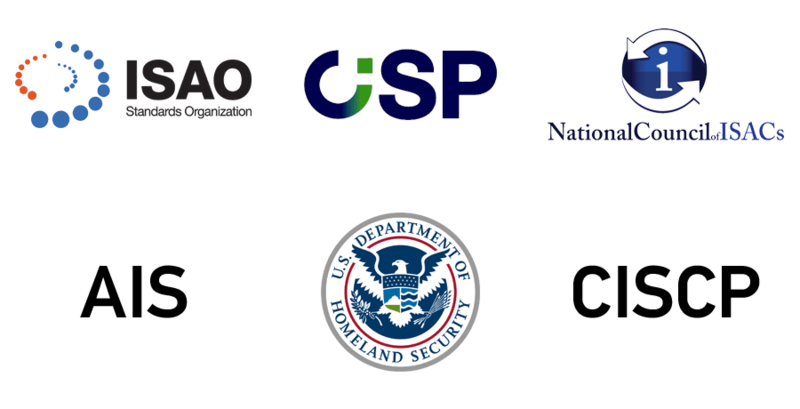 Also, it could bring lots of assistance in terms of additional intelligence and quicker answers to incident response challenges thanks to the additional resources from other organizations. Download the whitepaper to learn more about sharing outside of industry verticals, sharing targeted information, etc.